The law does not lead, it follows. Our system is very reactive in nature. It tends to change, without my surprise, like people generally do as a direct result to negative events or influences. Smokers quit following the heart attack and our legal system create laws based upon past events. 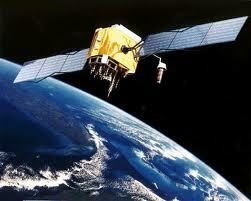 GPS technology has been around since about 1960. First used by the government, now used by nearly everyone and every company we interface with on a regular basis. You would think that 50+ years would be long enough to thoroughly and publicly vet any laws or regulations affecting the general population, but this never seems to be the case in a reactive society. Recently, about a month ago actually, a new proposal was submitted by the Senate for adoption known as the Geolocational Privacy and Surveillance Act or for short, the GPS Act. (Cute name huh?) Here are the highlights. As you might expect, I cannot resist commentary. Creates criminal penalties for surreptitiously using an electronic device to track a person’s movements that parallel those for wiretapping. (Currently, if a persons ex-spouse taps her phone, he or she is breaking the law. This legislation would treat hacking his or her GPS to track their movements as a similar offense). Are You Protected Against the 5 Top Healthcare Cyber Threats?